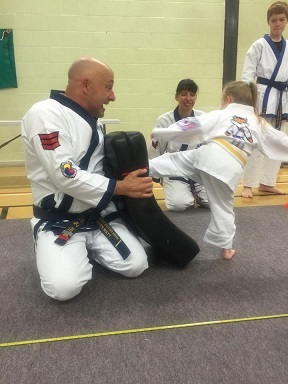 Our Positive Start Programme has been designed to introduce the beginner to the fascinating world of martial arts and prepare them for their Blackbelt training. While it is never too late to learn, the sooner you begin the learning process the better. You will become fitter, stronger & healthier whilst having fun! We promote non-violent resolutions to conflict, helping children understand conflict through role-play. Students learn ten life skills including: courtesy, honesty, confidence, self-discipline, courage, gratitude, commitment, respect, perseverance and self-control. Our younger students are treated with the same respect as adults and are taught to return that respect to others. We believe in praise, encouragement and positive reinforcement, with incentives for good report cards. We teach the value of setting goals and working to achieve them. Train in an environment free from physical harm & emotional intimidation. Achieve your goals for you and your family with like-minded individuals. 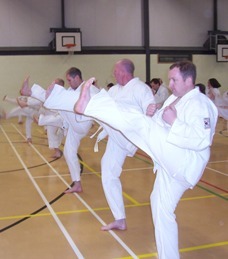 There are classes to suit all age ranges, and if you all want to train together we also offer Family Classes.